35mm glass bottom dish, dish size 35mm, well size 10mm, #0 cover glass(0.085-0.115mm). Designed for high resolution imaging such as confocal microscopy. D35-10-0-N , request a free sample or get a quote. 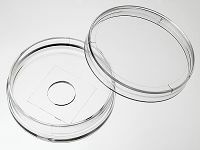 Quote: "A 35 mm Petri dish with a thin glass bottom (Catalog #D35-10-0-N, Cellvis) was used to culture the OCI-AML3 cells." 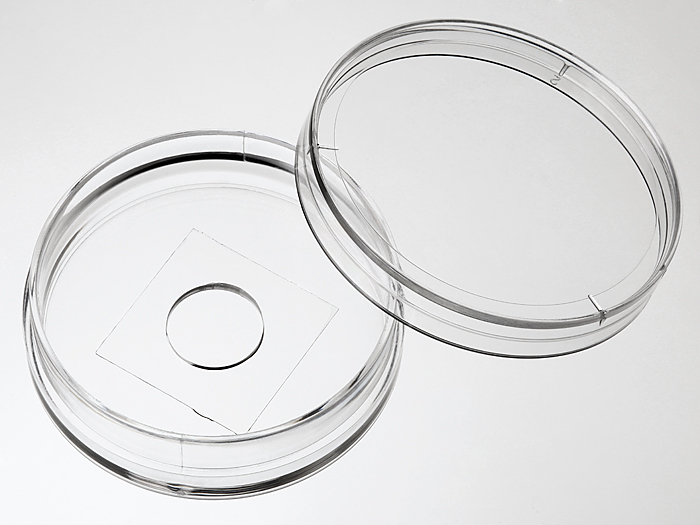 Quote: "The mixed solution was then added to 35 mm glass-bottom dishes with 10 mm wells (#0 cover glass, In Vitro Scientific) and placed in the incubator (37 degrees C, 5.0% CO 2 ) for 30 minutes"